Tenet Healthcare's activist shareholder resigned its two board seats Thursday, as the Glenview Capital Management members said they could push for change more effectively from the outside. Glenview is by far Tenet's largest shareholder, owning 17.9 million shares of Tenet, or 18% of the company. Tenet investors reacted favorably to the news. The company's shares rose 14%, or $1.79, to close Friday at $14.44. Community Health Systems, another giant hospital chain with activist investors looming, saw its shares advance 3%, or 19 cents, to close Friday at $7.03. In a letter to the Tenet board of directors posted Friday, Glenview representatives Matt Ripperger and Randy Simpson said they had resigned immediately because of "irreconcilable differences regarding significant matters impacting Tenet and its stakeholders." Though they did not detail those differences, Ripperger and Simpson said Glenview could be more effective promoting patient safety and shareholder value by working outside of Tenet rather than inside. They served on the board for 19 months. Tenet declined to comment beyond a regulatory filing posted Friday announcing the board departures. Tenet and Glenview had a stand-still agreement which brough Ripperger and Simpson to the Tenet board. The agreement will expire in 15 days because of the board members' resignations. After that, New York-based Glenview could acquire more Tenet shares or team with other investors to promote major changes at Tenet. Before the stand-still 19 months ago, Glenview CEO Larry Robbins had signaled his activist intent at Tenet, the nation's third-largest investor-owned hospital company. An activist shareholder might at any time get involved in trying to change the strategy, leadership, ownership or board composition of a target company. In their letter, Ripperger and Simpson said Glenview "may evaluate other avenues to be a constructive owner of Tenet." "Glenview remains fully committed to its ownership stake in Tenet and its desire to drive improved performance, culture and value," they said. Despite Ripperger and Simpson's board input, Tenet continued to struggle during their board tenure. Since that time, Dallas-based Tenet has piled up operating losses. And its stock price has sunk from about $23 per share to $12.92 Wednesday. Tenet's stock two years ago was about $52 per share. Tenet management is rightly divesting hospitals in non-core markets and using cash to increase its stake in ambulatory giant United Surgical Partners International as care shifts from inpatient to lower-cost outpatient settings for many procedures, according to Jefferies & Co. healthcare analyst Brian Tanquilut. 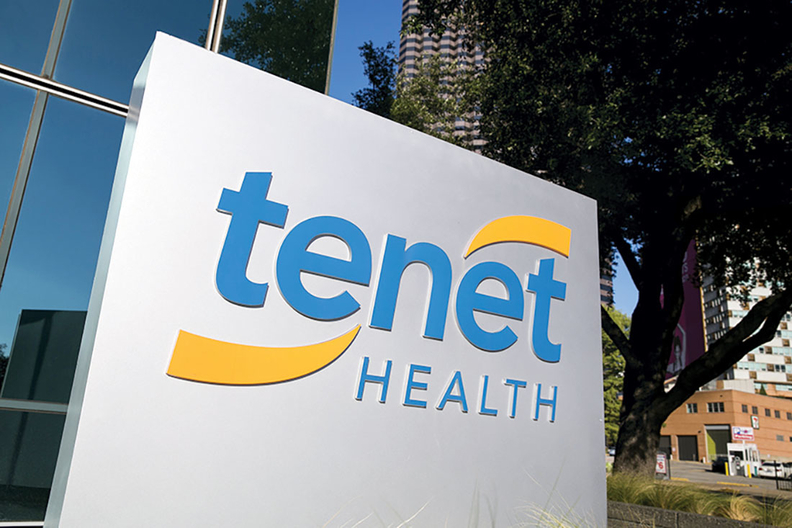 But Tenet continues to lose money and its cashflow has turned negative in each of the past two quarters, Tanquilut said. When Glenview's stand-still agreement expires in two weeks, Tenet will become the second major hospital company with an activist investor looming. Chinese billionaire Tianquio Chen in the past week has upped his stake in CHS, the nation's second-largest investor-owned hospital company, to 22.1% from 13.7%. Chen and his Shanda Group affiliates have yet to publicly say what their designs are for money-losing CHS of Franklin, Tenn.